Alkaline water has been quite the buzz for many people. They are always wondering if the water can truly offer the stated health benefits or not. The manufacturers will at all times claim that their product is safe, but is it that safe? Any smart consumer would want to know not only about benefits of alkaline water, but also about its side effects. The best part is that nowadays people will post reviews about a new product stating the benefits and side effects to share their experience. Before getting into the whole idea that alkaline water is dangerous, we must understand what alkaline water really is. Alkaline water is commonly defined as a beverage that has a value greater than 7 on the pH scale. This means that the water is neither neutral nor acidic. Another name for alkaline water is ionized water. The alkaline water is commonly characterized by having lots of electrons and a negative charge. The alkaline water is said to help in slowing down the aging process because of high electrone content. Whenever electrons are neutralized, the cell damage is reduced, which means that aging process is slowed down. Where can a person buy alkaline water? If you read about the benefits of alkaline water, the first instinct will be getting yourself a bottle or two of alkaline water. It is quite easy to lay your hands on alkaline water, as it is available in many stores around you. The other way would be converting your tap water to alkaline water. To do this, you need an alkaline water machine that does the conversion. The pH of the body is measured in terms of the hydrogen ion concentration. If your body has a high number of hydrogen ions, then the body pH is said to be lower or acidic. Well, having a balanced pH is the core biochemical process and it’s extremely crucial that your body maintains an ideal or near ideal pH at all times. What makes body pH so important after all? Well, if you’ve had the chance to study Chemistry in high school, you’d definitely know the answer to this question. But still, here is the answer for you. Our bodies are made of countless cells and cells have endless biochemical processes going on. These chemical processes are completed successfully by means of body enzymes. But, here is a catch! Body enzymes need a very precise pH to work properly. If the pH is more or less than the required pH, the enzymes will not work and the resultant biochemical processes will shut down as well! To be honest, a deranged body pH is a catastrophic condition and should be immediately treated because it can cause almost irreversible damage to body organs, such as kidneys, heart and brain. Alkaline water, as the namesuggests, tends to make your body alkaline. It’s true the body pH at several places, like blood, is slightly alkaline. So, drinking alkaline water once in a while may actually help strengthen these body systems. But, consuming it regularly is what you need to be very careful about. When you drink alkaline water too often, you’re actually overloading your body with a lot of alkali that your body doesn’t even need. This way, you’re increasing your body pH without any good reason and forcing the shutdown of different biochemical processes (1). The common selling point of alkaline water is that it can help in curing cancer and even prevent cancer. Keeping the body in the alkaline state for a long time has its side effects. Most people will end up having problems with their digestive systems and nutritional deficiencies. The nutritional deficiency will then result in having a weakened immune system. The excessive alkaline water in the body will also result in overgrowth of pathogenic bacteria, yeast, and fungus. This may keep the immune system down for a long time. If the immune system is not rejuvenated it is very difficult to heal and/or prevent cancer. Till date, there is no solid scientific which proof that using alkaline water can help, in any way, with any kind of cancer. In fact, the result of different clinical studies have proved just opposite - alkaline water has no benefit in treating or reversing cancer symptoms. In fact, till date, there is no human clinical trial that could support this idea. Since there is no human evidence, we’ll have to stick to animal data. Even the results of data collected from animals have shown that use of alkaline water gives no benefit in treating cancer. Results of a clinical study conducted on rats showed that use of alkaline water didn’t affect the abnormal proliferation of cancer cells and had no effect on cancer burden. Till we get more data, it can be safely stated that use of alkaline water has no benefit in treating cancer. In fact, using it may actually worsen the immune system. Like your body enzymes, the function of gut depends on body pH as well. Gut performs a wide array of functions ranging from digestion to nutrient absorption. Take vitamin B12 for example. It binds to a protein from a saliva and passes to the stomach. In the stomach, due to stomach’s acidic pH, B12 leaves that protein and binds with another agent called the intrinsic factor. This process is extremely critical from the absorption of B12 because the intestine only recognizes intrinsic factor and absorbs only that B12 that is bound to intrinsic factor. That’s why, people using stomach acid decreasing medicines and having undergone gastric bypass, which decreases the level of stomach pH, can’t properly absorb vitamin B12. Now, imagine you drinking alkaline water daily. It will definitely make the stomach pH more alkaline and will not let it perform its necessary steps in B12 absorption. And that’s only one nutrient. Relying heavily on alkaline water can significantly alter the absorption of a bunch of other nutrients like iron, calcium, folate and so on. In fact, results of animal studies have proved that use of alkaline water can cause significant growth retardation due to poor nutrient absorption from the gut (2). According to research, close to 90% of Americans do depend on using over-the-counter medications for a condition of two. The worst part would be using the alkaline water to take medications. The alkaline water is highly reactive with most medications. The reaction between alkaline water and the medication can lead to the formation of dangerous by-products that are harmful to your health. It can be said that alkaline water is just ideal for those people who are completely healthy, which means that it is ideal for nobody as nobody is 100% healthy. Again, the activation and absorption of drugs from the gut is dependent on ideal gut pH. If you’re messing up your gut pH, you’re more likely to make drugs ineffective too. The alkaline tablets are just the solid forms of alkaline water. The drugs are commonly used in the treatment of reflux problems. The idea is to have the drugs reduce the level of acidity in the stomach. The drugs are known to only work for a short time, but will not cure the stomach reflux problems. You need proper medication to eliminate such problems. Whenever a new health product or any other product, the multi-level marketers are likely to take it up and advertise it to anyone. The problem is that these marketers do not understand the effects of the product; their only objective is to sell it and gain the commissions. Those people that are gullible enough to believe them, they are likely to buy the product. Since many multi-level marketers are in the business of selling the alkaline water, people have started to doubt the information the marketers offer. You might even find the alkaline water being sold at very much discounted prices, which makes it even a bit more suspicious. Of course, you are likely to read about the many benefits of alkalinized water, but the disadvantages do outweigh the benefits. Not many people would be comfortable taking something that is likely to have a negative impact on their health rather than offering benefits. Here are some of the common side effects that a person drinking alkaline water is likely to face. The common phrase the sellers would tell you is that the alkaline water helps in digestion to keep you healthy at all times. However, it is not true, as it actually hinders the normal digestion process. This is due to steep changes in pH levels. People who are over 60 years should not drink alkaline water as the digestion side effects are severe. The digestion malfunctions are likely to lead to conditions such as hypochlorhydria. This is a sickness caused by calcium malabsorption, which gets worse with the continuous use of the alkaline water. In fact, there is a well characterized syndrome due to the excessive alkalization of stomach. It is called milk alkali syndrome. In this syndrome, when the stomach acid is decreased a bit too much, the absorption of calcium gets compromised to dangerous levels. Decreased calcium levels can be dangerous because a normal calcium level is needed for proper brain, gut and muscle function (3). The alkaline water was used on rats and the tests recorded. It was observed that the alkaline water had some severe and permanent side effects on the cardiovascular system of the rats. The same can be applied to humans who almost have the same composition. Your cardiovascular cells might be rejuvenated at first, but they will die when there is a continuous exposure to alkaline water. The alkaline water can still lead to increased number of enzymes in the cardiovascular system. Many enzymes are likely to damage the muscles around the heart and other important parts of the cardiovascular system. Metabolism is an important process that must not be interfered with at any time. You need metabolism to get the necessary energy to stay healthy and do many other activities. The metabolism has to be regulated so as you get just enough energy whenever needed. The alkaline water is seen to cause metabolism abnormalities in a person. Such abnormalities can lead to diseases, such as metabolic alkalosis, which commonly causes discomfort in a person. The other common side effects of alkaline water include conditions such as edema, mental confusion, and hypertension. No one would want to suffer from these conditions as they are frequently associated with severe complications. The side effects of the alkaline water are likely to be more prevalent and severe if the water is not from the natural sources. The artificially alkalinized water has many chemicals added to make it more alkaline. It is best to use natural water as it will not have any additional harmful chemicals. Some of the side effects are not mentioned here, as sometimes the alkaline water will affect people differently based on their body composition. Kidneys are body’s major excretory structures. Another important function of kidneys is to keep your body pH within normal range. For instance, when the body pH increases- becomes more alkaline- the kidneys come into action and start to excrete more bicarbonate ions into the urine. That’s how kidneys function to keep the body pH close to ideal. When you drink alkaline water, you’re actually making your body systems more alkaline and increasing the concentration of bicarbonate ions. At first, kidneys take on this problem and can keep the body pH normal by eliminating bicarbonate ions from body. But, once you start to rely heavily on such water, even kidneys fail to excrete all of the bicarbonate ions and this leads to metabolic alkalosis. When the body gets into alkalosis, kidneys start to function more than normal. That’s a bad new for all, especially for those who are already suffering from some sort of kidney disease because this will further worsen the kidney damage. If you’re suffering from kidney disease, use of alkaline water is a BIG NO for you! Using too much alkaline water can actually dehydrate your body quickly instead of hydrating it. When a lot of unnecessary ions make way to your gut, they actually squeeze out more water from it (Basic Chemistry Knowledge!). In fact, drinking too much alkaline water can dehydrate you at the cellular levels. If you are still yet to be convinced that the alkaline water is dangerous, wait until you go through the different types of alkaline water processing methods. These are the common units used by many people to make the alkaline water at home. The common brands include the Kaagen, i-Water, and many others. The water will pass through a carbon filter that removes the toxins and improve the taste. The problem arises when the filter becomes clogged and not removed. It will become the breeding ground for bacteria, parasites, and viruses. The water is finally passed over an electrified platinum-covered titanium plates. The process is meant to alkalinize the water. The platinum added to the water is toxic and harmful to the human health. It is argued that this method will likely increase the chances of getting the Yin disease. Keep yourself away from the alkaline water to avoid such disease occurrence. You might be surprised what your water store is doing to get the best-selling alkaline water. The fresh water undergoes the process of reverse osmosis to form the alkaline water. In most cases, the also involves the addition of calcium powder or solution. Too much calcium in the body will of course have its own problems. The dominating problem is that you are likely to face the Yin disease again (4). The process of reverse osmosis will not help the body hydrate at all. You are not to use such water for daily drinking. The calcium used in this process is made from the coral calcium, which may contain some toxic metals. The water is likely to take up the toxic metals easily when the process of reverse osmosis is used. These toxic metals have been seen to affect the body cells and kidneys. Soon or later, you start to develop complications related to kidney failure. It is a different machine that is non-electric. The unit can be used under the sink being linked to the mains water supply. The unit will add magnesium compound into the water to alkalinize it. The process is meant to help in avoiding the expensive and dangerous platinum plates. However, the end product is still the same harmful alkaline water. The magnesium compound will ruin the poor quality water tap making it to cause complications in humans. You have to avoid this method as well. Should I drink alkaline water? If you want an unbiased opinion, the answer is NO. Reason being the side effects are way more than the good things about alkaline water. Drinking such water once in a while may help you with indigestion, but there is nothing more to it than this. It can’t miraculously cure any sort of cancer. Or it is not a magic elixir that is going to make all your health problems go away overnight. What makes the use of alkaline water even more question is lack of any scientific proof for its health benefits. If alkaline water is as healthy as the manufacturers claim it to be then why is there an absolute lack of clinical studies that can support this claim? The alkaline water is likely to come with many health promises than many other health products. You should not be cheated to try alkaline water to deal with your issues. Some people are seen to take alkaline water to treat headaches or fatigue. Some of these conditions are caused by your lifestyle, and they can be eliminated with the choice of a good lifestyle. You might be tempted to take the alkaline water in order to treat cancer or may be cardiovascular problems as stated by the marketers. The doctors can offer you the best medication that will deal with your condition. 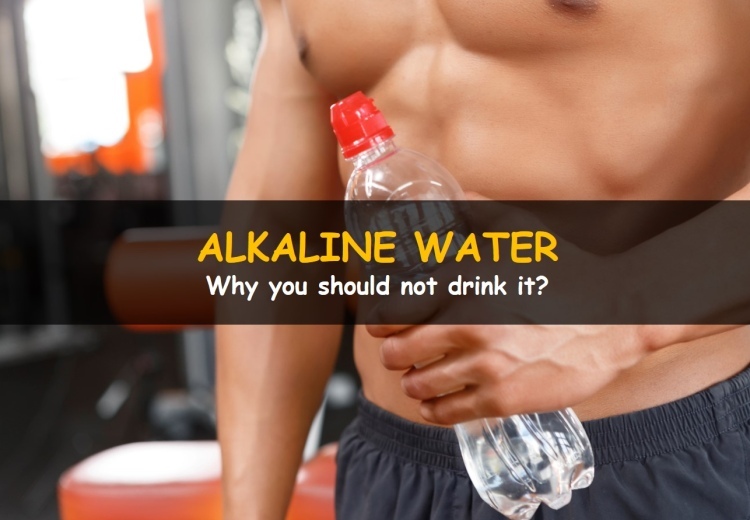 The use of alkaline water just makes things worse for the patient. For the heart issues, it is all about the diet changes you have to make. All is needed is to eat healthy each day and exercise more to have a healthy cardiovascular system. As much as the alkaline water might seem the solution to problems such as Acidosis, the outcome is not always what you expect. The logical explanation to why doctors are yet to approve the use of the alkaline water is because of the likely side effects that people get. Most of the documented researches show that the tests were only carried on dogs and plants. How do you even translate the results of plants to be used on humans? So far, there has been no extensive research on the benefits that the alkaline water can do for the humans. By now you know that the use of alkaline water is not the solution to your health problems. It is time to follow the recommended methods in order to live a healthy life. Consult a nutritionist who can help in coming up with an impressive diet plan for you to use.